So why are newsletters important? They are certainly more than just another job on your long to do list. By sending an e-newsletter to your list of email subscribers you are getting your message and your name in front of them on a regular basis. Those people have opted in and chosen to give you their email address and are willing to receive emails from you. When your email/e-newsletter pops into their inbox it keeps you top of mind. It reminds them that you’re there. Even if they don’t buy now when they are ready to do so, they will think of you. A newsletter keeps building the relationship. Of course firstly you have to capture those emails. Those first emails to add to your list will be from past and future guests. Contact them and ask if it’s OK to be added to your mailing list to receive your monthly newsletters. Assure them their email address is only for your use and wont be passed to anyone else. Tell them that your newsletter will include information about your holiday rental, the area and some subscriber only offers (to pique their interest at being added to your list). Going forward, set up a system to capture email addresses. Ensure you comply with data protection law within your country and use a third party software to manage your list such as Mailchimp or Mad Mimi. Both of these are free if have under 500 subscribers on your list. Collect emails via your website and by offering a freebie ie something in exchange for an email address. This freebie needs to be something meaty, something worth their while downloading. A local insider guide works well, giving subscribers information they couldn’t find on the local tourist board’s website because it’s written from your perspective as an expert in the area. So you have your subscribers, then what? The biggest reason I hear most holiday home owners say that they don’t send out newsletters is that they don’t know what to write about. 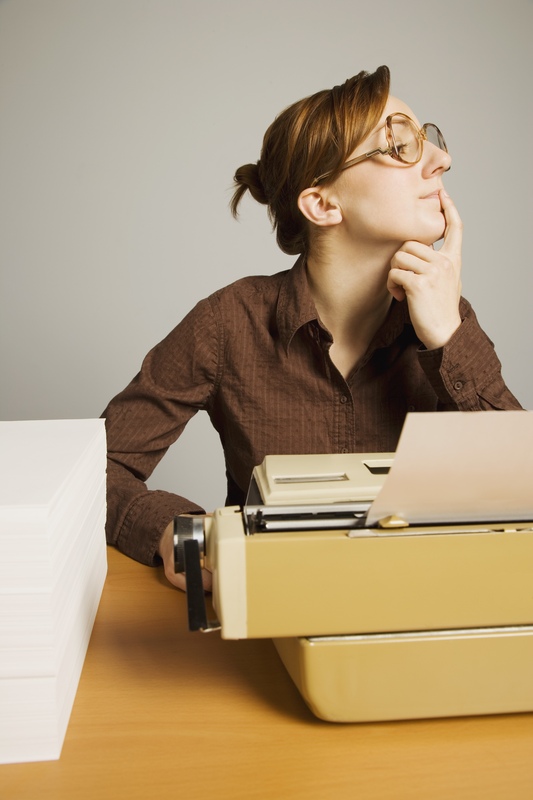 They understand the relationship building benefits but writer’s block puts them off. Have your ideal guest in mind and write content that would be of interest and of value to them. Don’t make them too salesy and include a variety of content. I’d recommend you include this at the beginning of every newsletter. Remember people do business with people (namely you the owner). Write a few lines or a paragraph on what you’ve been up to that’s relevant to your holiday cottage and/or its area. This doesn’t have to be mega exciting. It could be a few lines about you pruning the roses or purchasing new fluffy towels. Just makes sure it’s written in an informative way and is something your ideal guest would be interested in. The rose example would work for me as my holiday home’s garden is a big feature so I often attract keen gardeners. If you live a distance from your property, ask your housekeeper to send pics and talk to him/her to get ideas. Provide quick tips for visitors. For example, if you’re visiting Scampston Gardens this summer, we recommend you visit the tea room first and then the garden because it gets rather busy from 11 onwards. I’d recommend you blog regularly and include this each time in your newsletter (plus a blog gives you content for social media and your website). A blog subject could be: The 5 Best Tearooms in Yorkshire, or 3 Places to Go That Welcome Children or Why you should visit X in the winter. These would also make suitable blog content. Write a review of a local tourist attraction, town, city, museum, market, fair, event. Ideally written by you or you could link to content from another website. Share the ideas and tips on places to visit, things to do, that your guests have recommended. You can take this information from your visitor’s book. With local businesses such as the pub landlord. You can use Google Hangouts or Skype for free to record the interview and record only the sound if you’re not comfortable face to camera. Again this provides content for social media and helps build relationships with that local business. It will get you further coverage because they too will share your interview and help you spread the word. Memes are images with a quote/text overlay. Choose a quality image and add a suitable quote. For example a travel quote or about luxury or family holidays, or memories, whatever is applicable to your readers. Use Canva to create the memes. Use your own quotes or find quotes on websites such as brainyquotes.com or Pinterest. If using a quote from someone else ensure you credit the quote. Use images throughout to illustrate each piece of content. Feature a different team member each time such as the lady who does your welcome tray, your cleaner or gardener. This behind-the-scenes content is always popular. What’s new in the area? What’s newsworthy? Add links to local newspapers articles or websites as applicable. This gives you a chance to talk about your holiday home in a non-pushy, non-salesy way. Answer a question that you frequently get asked about your holiday rental. Such as does it have private parking, are towels provided. You could record your answer as a video for extra interest? This is the salesy bit. Make it subscriber only and honour that. Choose a certain week that you’re prepared to discount, or offer a super-duper welcome hamper to anyone who books a holiday during a certain period. Go for it. You will need to test and tweak and see what content and format works best for you. Just make sure you always add value. Be consistent, stick to a timetable. Keep going and keep growing your list of email subscribers. 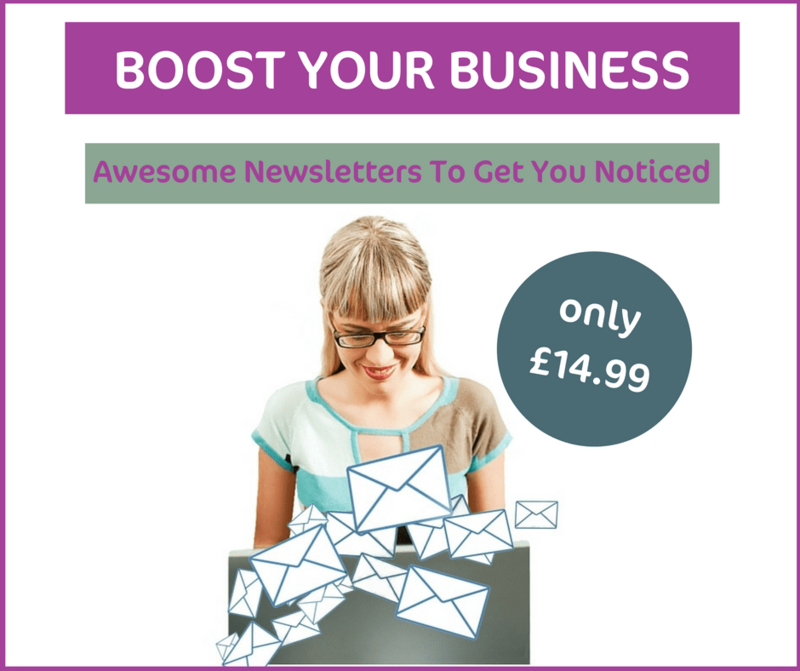 If you haven’t sent a newsletter before, or have attempted to but got a bit stuck with the techy stuff then my Boost Your Business Class is for you. Using Mad Mimi and an example of one of my holiday home’s newsletters, I share the secrets to creating an awesome newsletter system. add a downloadable freebie to your website. E-newsletters are such a powerful marketing tool to build relationships with past and future guests and lead to more bookings that if you’re not already doing so, you need to start now. Once payment has been made, please check your email for login details to access the class.